It’s a rare time when you actually look forward to newsletters in your inbox, right? I mean yeah, we’re here for those shopping discounts when we *need* that new serum, but how often do we really want those emails in our lives? Pass. I am always on a newsletter purge it seems and a few months ago, I decided that my inbox should be filled with emails I want to see and not filled with anything I don’t want to open. I’m constantly re-evaluating what’s peeping in my inbox. Sidenote: I have this totally ridiculous habit of marking every email as read, even if I don’t bother opening it. I’m 100% aware that this is a ridiculous, time-consuming habit. But it’s part of why a regular inbox detox is an urgent task. Anyone else do this? Is it just me? Since unsubscribing to hundreds of email subscriptions, I’ve been on the hunt for some good newsletters to fill the void. And I’ve found them, fam. Get ready for some major email goodness headed to your inbox. These are forward-worthy newsletters that I open regularly, and get excited to see come into my inbox. We started a weekly newsletter at Life Goals Mag in February all about setting your week up for success every Sunday. We built the newsletter we’ve been on the hunt for and honestly, feel like it’s packed with amazing content and recommendations. We love setting GYST days (Get Your Sh*t Together) days on every Sunday to get all the stuff done you need to have an amazing week. Our goal is to get you excited and motivated for the week ahead. We talk about our favorite tools, best self tips, what we’re listening to, topics to explore, affirmations and mantras, and more. Read a past newsletter email here. Sign up to get future newsletters here. This Friday morning newsletter is made for girls who like to stay in. It’s perfect for introverts with a love for good reads and self-care. It’s by far my favorite newsletter. I get excited to leisurely drink coffee and read this before work. The founder, Alisha Ramos, is really into skincare and I’ve found lots of great recs through this newsletter as well. TheSkimm needs no introduction, as it’s the Serial podcast of newsletters. But in case you’re not familiar, it’s a daily email newsletter that gives you a brief overview of the news. The idea behind it is to give you enough information on what’s going on in the world in a bite-sized, fun way so that you can stay informed enough to have smart conversations with coworkers. Valentina Zarya from Fortune writes a daily email on “the dish on the world’s most powerful women.” As a woman who wants to stay informed on what’s going on with female empowerment movements, but doesn’t want to search through tons of articles every day, The Broadsheet is perfect. It gives you brief summaries from the best news in feminism and women’s rights movements. 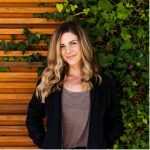 Lauryn Evarts of The Skinny Confidential often refers to herself as a human guinea pig for testing out new products for beauty and well-being. Since she’s always trying out new things, she shows off her favorites each week in her Thursday newsletter. I like seeing what she’s trying out and what’s inspiring her. Are you in wanderlust mode? If so, prepare to be transported to far away destinations with The Discoverer newsletter. Each week, they send out a visually stunning email weekly with a dreamy location detailing everything you’d want to know about the location: when the best time of year to go is, where to eat and stay, what attractions cannot be missed, etc. View past newsletters email here.